My last two trips to the bookstore involved me looking up Dead Witch Walking and told there were 2 copies available in store, only for me to search around forever and unsuccessfully. I'm happy to say that this time I found a copy! I've had this one on my reading list for much too long so I'm pumped to finally have it in my possession. 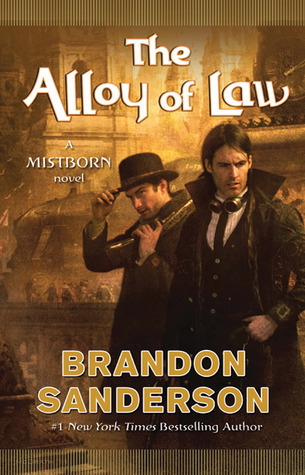 The Alloy of Law is part of the Mistborn Trilogy Story Arc but this is set 300 years after the original trilogy. Since I only have book 3 The Hero of Ages left to read, I was anxious to get my hands on anything else relating to the world I've come to care for so much! Now I've heard very mixed things about both of these books/series...but the thing is I keep hearing about them nonetheless. And all the time too. I'll admit to being more curious about Everneath, the concept just sounds appealing to me. Shatter Me had gotten my attention when it first came out, but then I'd leafed through it in the bookstore and the strikeout bits really turned me off. I'm hoping I'll be able to get passed it though, but we'll see! That's it for me this week but I'm anxious to check out everyone else's haul! Everneath and Shatter Me are great. I love when Amazon offers those e-book deals. Nice haul. I have Shatter Me, too, and I'm looking forward to seeing if I love it as much as everyone else does. And I'm definitely going to make Mistborn my next epic fantasy read. Enjoy all of your books, Micheline! 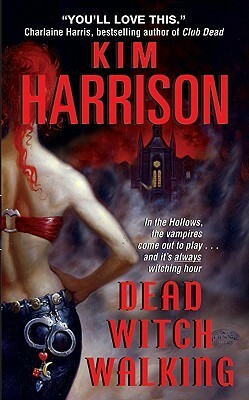 Dead Witch Walking was not my fav., but I still enjoyed it enough to want to continue w/the series!! Happy Birthday!!! Excellent, that's not too bad :) I can live with that haha thanks for the feedback Lisa! haha it certainly WAS exciting to get pre-birthday goodies anyways, especially the bookish kind ;) Thanks for the input & nice comment Alyssa!! LOVED Shatter Me and the first book in the Mistborn series - can't wait to finish the rest of the series! Nich haul, Mich! I have heard good things about Darynda's book! Woot! Glad to hear it Chey :) Thanks for stopping by! I really liked Everneath and Shatter Me personally. I hope you do too! Dead Witch Walking is a great paranormal novel, I hope you enjoy! Woohoo, Happy Birthday, Micheline!! I hope you get a lot of bookish gifts! And I hope you enjoy your reads this week - I haven't read Everneath and Shatter Me yet, myself, because of the mixed reviews. So I'll be curious to hear what you think of them! Yay!! Thanks Aylee :D I had an exceptionally bookish birthday this year - no complaints! I'm definitely iffy on those two myself but we'll see. Hopefully at least one of them is a hit but at that price even if both of them bomb I can't complain too much! Great haul!! And Happy Birthday!! Don't let the strike through thing turn you off of Shatter Me!! It really helps you feel what it's like in her mind and it's no bad as the book progresses. My friend Lauren had put it aside because of that, but she went back to it later and loved it!! Weeee thanks Amy :D I hope I'll get used to the strike out thing too!! Everneath is so good, you need to get lost in that series ASAP. I still need to read Shatter Me, I am so torn on reading that book though, the reviews are just all over the damn place. Nice to see that you got another Darynda book! Enjoy! Excellent, thanks for the feedback Jenni!! Eeep I'm excited :D I'm hesitant about Shatter Me too...we'll see I guess. Thinking of getting into Charley Davidson 2 soon, can't wait! 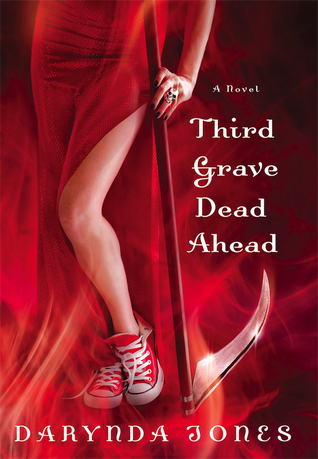 I need to start Kim Harrison's series! And I got Shatter Me last week as well :) Everneath is another one I have on my TBR and look forward to reading. Have a wonderful Birthday tomorrow! Oooh I love Kim Harrison and Darynda Jones, what a wonderful choice. Happy reading and Enjoy!!! Yay glad to hear it :D Thanks Melliane!! Congratulations! I hope you have a wonderful birthday tomorrow :D I really liked Everneath, so happy reading! Thank you so much Mel :D ...for the warm wishes & the feedback!! Oh, and I really want to start the Charlie Davidson series soon! Oh, and about the blog button thing you asked about a while back: no, I *still* don't have one ^^'''' I know, embarrassing... I hope to get a blog make-over soon though (I have a design-savvy friend) and I'll definitely have a button then! The buzz for Shatter Me left me cold too, browsing through the pages did the same. Apparently all I need to try out a book is a good bargain LOL...and I mean some bloggers a trust quite a bit have liked it so we'll see! Some great additions there. I still haven't read Everneath even though it's been on my list for a while now. 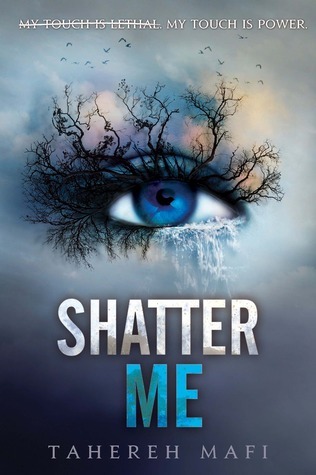 I liked Shatter Me! It's not a favorite and the writing style is not for everyone, but you might like it! 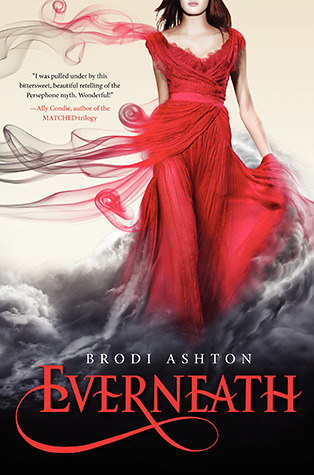 I liked Everneath a little more and I cannot wait to read Everbound. Enjoy, Micheline. BEA soon! I think I have all the Sanderson I wanted now...except Warbreaker. Oh and everything he's coming out with this year :D Thanks for the Shatter Me feedback too, I'm holding out hope!! I loved both Shatter Me and Everneath! I hope you love them as much as I did. Thanks Brandee :D And I love the Dead Witch Walking feedback - I can't wait to get into the series! !